This is the Captain Cassian Andor Brown Jacket that Diego Luna Wore in the latest flick, Rogue One: A Star Wars Story. Diego Luna plays the character of Captain Cassian Andor. The Star Wars Captain Cassian Andor Jacket is made of the best quality of cotton. It is light in weight that enables you to wear it for long hours. The inside of the jacket has viscose, which will absorb the sweat, so you feel at ease. Four outside pockets with two inside pockets to add more options to store your precious items. 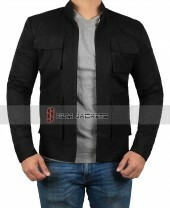 The front closure of the jacket consists of a zip up feature. Become the star of the galaxy with this costume guide. These featured apparels are enough to re-energize the true warrior in you. Here is this authentic Star Wars clothing guide for both kids and adults. F Jackets have excellent quality. Love my new Cassian Andor jacket, which fits great, has a good liner, and looks awesome. Love this jacket, stylish and comfortable. It's in the Star wars style but also fits in with a "modern look". I've seen some reviews of the sleeves being a but long, but I'm 6 foot tall with broad shoulders and it fits very well. Very fast shipping, can't go wrong with this jacket. I am happy with what I purchase. The jacket is no doubt an excellent wearable. It’s a bit different from the original one but no issues. It is very much comfortable as shown in the picture. The package was received earlier than promised time which is great. I am happy with what I purchase. 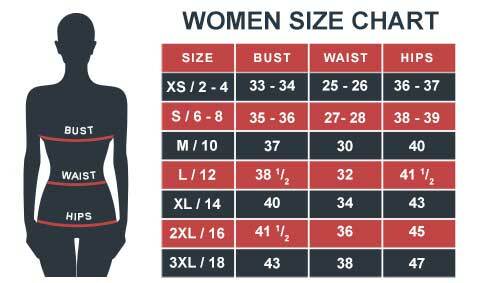 Perfect size chart provided through which I was able to get an accurate size. I love the fitting and design of the jacket. I wish to wear it for a long time. I was going through the site for Han Solo jacket but saw this new arrival at the store. It was for my son, and he is mad about Star Wars collection. I am wondering of his happiness after receiving this new jacket. This was a gift for my husband. And since it being a gift, I wanted no mess up or anything. This had to be good. I wouldn’t mind paying $200 too as long as I get a jacket in the best quality. My husband is a big Star Wars fan through and through, and I didn’t want to disappoint him. The jacket arrived within a week, and it was excellent. It was the right length and all, so I was happy. Now I just need to surprise him with it. The best part is that these guys don’t hide anything and always tell the truth. I had placed an order for this jacket, and they said that they would take some time to process it because of getting the right features on it. Seeing that I needed it to be as accurate as possible, I was okay with it. It was 8 days from the time I placed my order, got it processed and delivered to me. I thought it would take longer. It is precisely how it is described on the site. This is my third purchase from this website, and the previous two have been of Star Wars characters. The first product that I ordered from here was the white Luke Skywalker jacket. No issues with that. The second one I ordered was the light grey hoodie with the movie’s logo on it. For this Star Wars Captain Cassian jacket, I had to switch the address because I had to stay with my parents for some time due to some personal problems. I was nervous in doing that since it could go anyway and they can get mixed up. But they confirmed everything with me, and it arrived a day late. Not much bothered about it much, but it was good that they delivered on time with no quality problem. This is a highly recommended store, guys!